Professional development and training are essential to providing quality child care and positive learning outcomes for children. 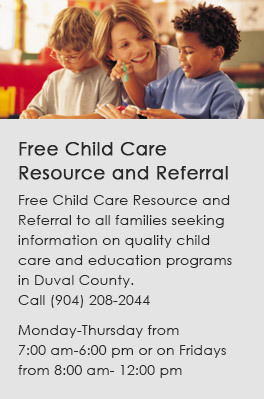 The Early Learning Coalition of Duval encourages child care providers, directors and staff to continue to pursue professional development opportunities. The Professional Development Department develops and delivers high quality training for adult learners who work in the field of early child care and education.